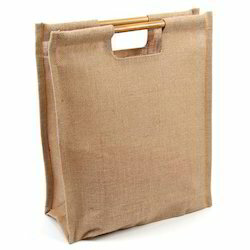 Description:This Jute Bamboo Handle Shopping Bag is made is Lined With LDP and having a Bamboo Handle. • Color: Available in any colors on Bulk Orders. Bamboo handle shopper.Bag colors and print can be customised. 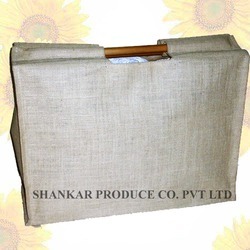 Backed with a team of highly qualified experts, we are presenting Bamboo Handle Jute Bag to our prestigious customers. These bags are available with a handle made of bamboo and it is fabricated using superior quality jute that is sourced from known and verified dealers. They are multipurpose bags and are provided in various prints, designs and sizes. Our client can avail high quality range of Bamboo Handle Shopping Bag. Our range is jute shopping bag with a print of the London underground map and bamboo handle. This range is designed and crafted by our skilled professionals using well-tested raw materials as per the latest market trends.